Bali, 20 August 2013 — On 16 August, the Human Rights Resource Centre and its partners hosted the “Stadium General on Migration and Human Rights,” a forum for discussion on migration & human rights at the Udayana University. Deputy Rector of Udayana University, Dr. I Nyoman Suyatna, officially commenced the event with a welcome address. Professor Harkristuti Harkrisnowo, Director General for Human Rights, Ministry of Law and Human Rights of Indonesia, and senior Law Faculty member at the University of Indonesia, gave a keynote speech on the ASEAN Human Rights Declaration and its significance for Indonesia. Participants included students from the Law Faculty and Faculty of Social and Political Sciences of the University, as well as stakeholders relevant to migration issues, such as the police, prosecutors, immigration office and human rights centers. 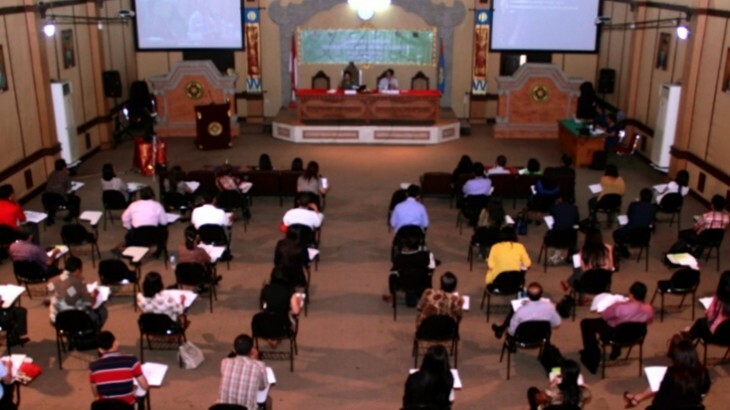 The forum at the Udayana University was an optional event for attendees of the 6th Annual Summer Institute in International Humanitarian Law and Human Rights, a workshop held from the 12th to the 15th of August. The Summer Institute focused on the theme “Migration and Human Rights” and was organized by the Human Rights Resource Centre, Udayana University, East-West Center, University of Zurich, International Institute for Child Rights and Development, and the War Crimes Studies Center.